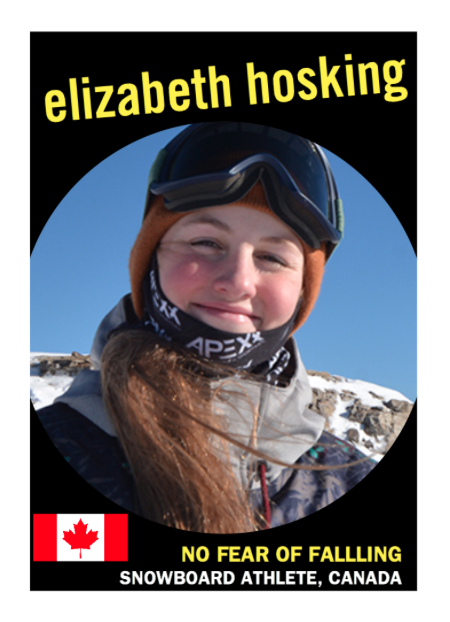 In this episode, we talk to ELIZABETH HOSKING, a 15 year old Canadian competitive halfpipe snowboarder based out of Quebec, Canada. She’s a competitor on the World Snowboard Tour, and just recently found out that she has qualified to represent Canada at the upcoming Snowboarding World Championships in Spain. She currently has a crowdfunding campaign going on over at MAKEACHAMP to raise funds for training and travel expenses. For an athlete of such a young age, she has accomplished so much on the national and international stage, and with dreams of competing for Canada at the 2018 Pyeongchang Winter Olympic Games focused in her mind, she is an athlete and a person that will get very far in everything that she does. We talked about the sport of snowboarding as a whole, her journey to get where she is now, how she prefers flat-spins to flips, and how sometimes by experiencing your greatest fears directly, you can overcome them and give yourself a greater opportunity to grow and succeed. We wish Elizabeth a ton of good luck for the upcoming World Championships, and we will be cheering you on!